Online Quizzes: 15 Mind Numbing Facts About Online Quizzes. Top Career Options After 12th – What to do? This is the 30 question MCSE/MCSA quiz. Please click on Start Quiz & get started. What is the meaning of Bandwidth in Network? DHCP Server provides _____ to the client. Which is not one of the four divisions or container structures in Active Directory? Physical groupings independent of the domain and OU structure. Sites distinguish between locations connected by low- and high-speed connections and are defined by one or more IP subnets. The collection of every object, its attributes and attribute syntax in the Active Directory. Containers in which domains can be grouped. They create a hierarchy for the domain and create the structure of the Active Directory's company in geographical or organizational terms. A collection of computers that share a common set of policies, a name and a database of their members. What do domain controllers do? Store the database, maintain the policies and provide the authentication of domain logons. Control granular settings in a domain environment. What are Group Policy Objects? A set of folder rules that determine where Outlook will save email messages. They determine the hierarchy of a domain, which can fit the operational structure of an organization. A collection of settings that define what a system will look like and how it will behave for a defined group of users. In Windows Server 2012 and Windows 8, Group Policy Objects give administrators the ability to select new Internet Explorer policies. Active Directory Rights Management Services is designed to give complete control of all documents stored in RMS-enabled applications. According to Jonathan Hassell, what is a good practice to follow with forest trusts? Inefficient LDAP queries can put an unpredictable load on the DC. The number of authenticated clients is unpredictable because multiple DCs share the load for clients in and out of the site. Active Directory (AD) analysis and monitoring tools put additional load on the DC. It is possible to run Windows Server 2012 systems in a cluster with earlier versions of Windows Server. Which of the following is not an option that administrators can choose when changing Setting Sync policies in Windows Server 2012 Group Policy? In Windows Server 2012, Hyper-V live migration and failover clustering is possible without shared storage. How does the “salvage” feature in Windows Server 2012’s new Resilient File System (ReFS) prevent data corruption from spreading? In Windows Server 2012, administrators can access the Active Directory Recycle Bin only via PowerShell. Your company has two datacenter locations. A Windows Server 2016 stretch cluster is built across both sites. You want to dynamically adjust the witness vote based on the number of voting nodes in the current cluster membership. Which of the following dynamic witnesses will best address your need? Your company needs to implement enterprise storage solutions using both iSCSI and fiber channel storage devices using Windows Server 2016. You have been asked to provide a solution that will help to automate management of both types of storage devices. Which feature should you use? You have decided to install Windows Server 2012 by choosing the Service Core Installation option. If you want to install, configure or uninstall server roles remotely, what tool would you use? Server manager is a great tool for managing most of your server settings and configuration all in one central place. Which one of the following Server manager Features is used for management of Public Key Infrastructure? In Windows Server 2012, you can remove the Server Graphical Shell, resulting in the “Minimal Server Interface.” This is similar to a Server with a GUI installation except that some features are not installed. Which of the following features is not installed in this scenario? Which of the following is not a best practice for performing new forest deployments? Ensure that each domain has at least two domain controllers for fault tolerance and to ensure availability. Only one of these domain controllers needs to be writeable; the other can be an RODC. Make sure that each site in your domain has a sufficient number of domain controllers to service the needs of users for logging on and accessing network resources . Whenever possible, keep the design of your forest simple by having only one domain. Install only the AD DS and DNS Server roles on your domain controllers and no other server roles. 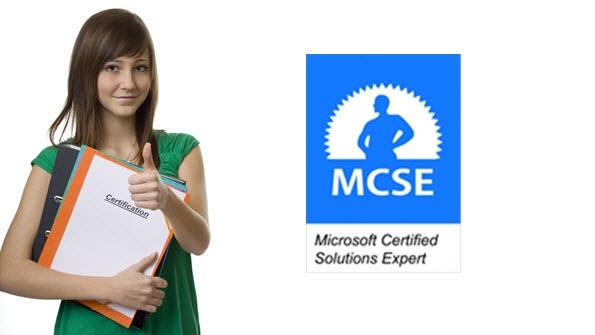 Microsoft Certified Solution Expert abbreviated as MCSE is one of the certifications by Microsoft. There are a few certifications for MCSE available now, which gets added to the existing ones like Private Cloud, Desktop Infrastructure, Server infrastructure and SQL 2012. If you are an existing MCTIP holder in Windows server 2008, SQL 2008 etc., there are paths to earn your MCSE on your respective desired specialization platform. How to upgrade to the available MCSE certifications? We are providing you some links to the Microsoft’s portal for you to acquire the better information about the certifications. MCSE Private Cloud. If you have an existing MCSA on 2008 or 2012 platforms, you just need to go for only 2 more exams to earn it. Go, earn it! For more details, stay connected with us and make yourself better, practice the set of questions here. MCSE welcomes you to it’s quiz section. Opt the questions and if you feel the difficulty, search for the explanation of the answer beside it. Happy quizzing! Wish you a good luck, buddy!